"The sea plane project will start on January 6. We have already signed a contract with Mumbai-based MEHAIR company, which will run the sea planes," said Goa Tourism Minister Dilip Parulekar. 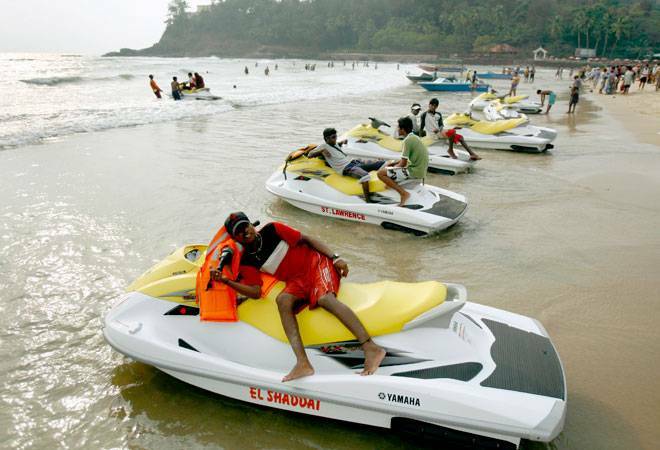 Sea planes, helicopters and amphibious vehicles would soon be available to boost tourism in Goa even as the state is expected to attract 7.5 million visitors this year. "The sea plane project will start on January 6. We have already signed a contract with Mumbai-based MEHAIR company, which will run the sea planes connecting Dabolim airport to different rivers across the state," said Goa Tourism Minister Dilip Parulekar. While the sea planes and helicopters will be flying across the state from the Vasco-based Dabolim airport, plans are afoot to start amphibious vehicle services for tourists which will take them from cities to inland water routes, he added. He said that sea planes would land in the Mandovi and Chapora river during the first phase and the tourists will be directly flown from the airport to the heart of the coastal state. The trial run for sea plane was successfully held on May 23 last year. The state tourism department will also, from January 15 onwards, launch private helicopter services connecting Dabolim airport to various helipads. "Semi-government organisation Pawan Hans has already entered into an agreement with us wherein they will fly tourists from the airport to various helipads in places like Aguada, Old Goa and Canacona," added Parulekar. The tourism department is also ready with four amphibious buses which would be launched in the state after proper approval is obtained from the Union shipping ministry. "We held discussions with shipping minister Nitin Gadkari during his recent Goa visit. We will launch these buses soon once we get the approvals," Parulekar said. According to the minister, after recording 6.5 million tourists last year, this calendar year, the state government expects 7.5 million tourists to arrive in Goa. "The tourism scene looks bright. The number of chartered flights will also go up. The introduction of e-visa facility has seen tourists from places like America visiting Goa. Travellers from Germany and the UK are also benefiting from the e-visa facility," he added.